Deep within the Scottish highlands, hidden in the Cairngorms National Park, lies the Balmenach Distillery. The rugged landscape of the area is home to crystal clear springs, as well as a wide array of flora and fauna. An area with a deep heritage, the Balmenach Distillery in 1824 became one of the first distilleries in Scotland to be granted a license to produce Scotch whisky. 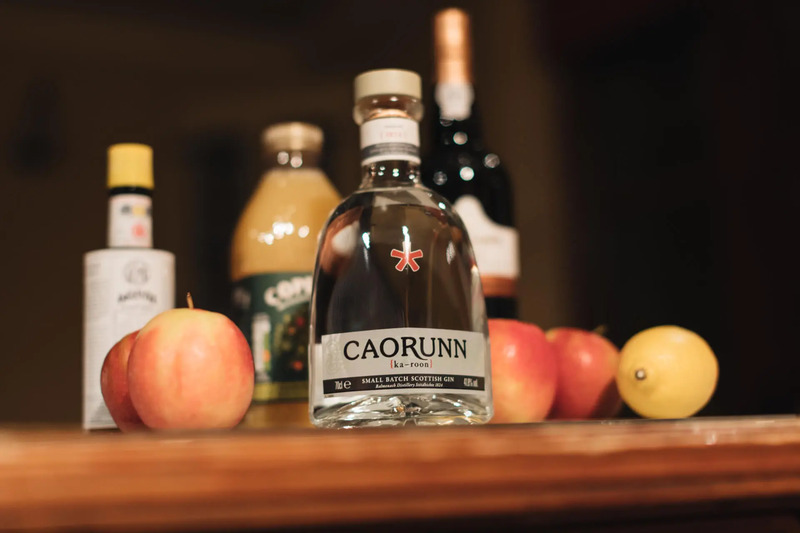 It is also the home of Caorunn who, unlike many of their Scottish spirit-making contemporaries, are not making whisky, but rather handcrafted gin. 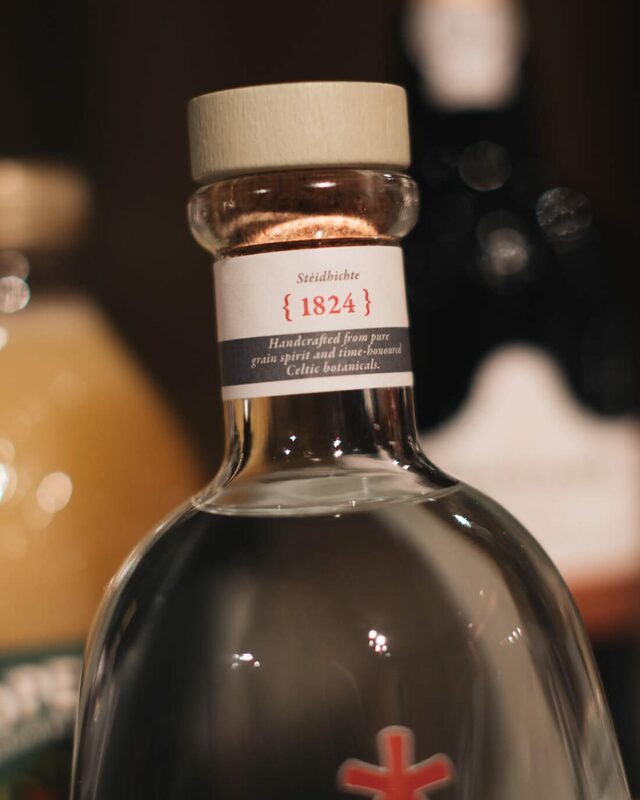 Their tagline – “wildly sophisticated” – is apt; gin is after all one of the most in-vogue spirits right now, and fusing the wild charm of the Highlands with modern Scotland’s fast-growing urban scene is certainly an intriguing idea. 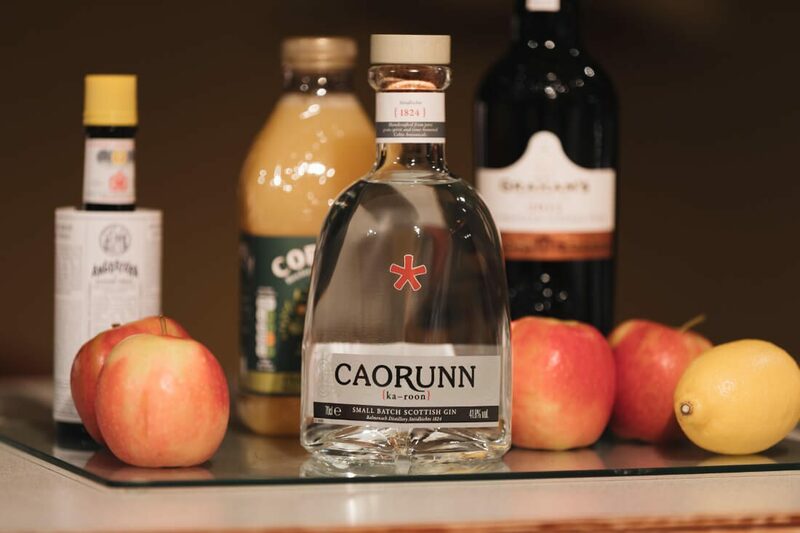 The man in charge of delivering this fusion is Caorunn’s very own Gin Master, Simon Buley. 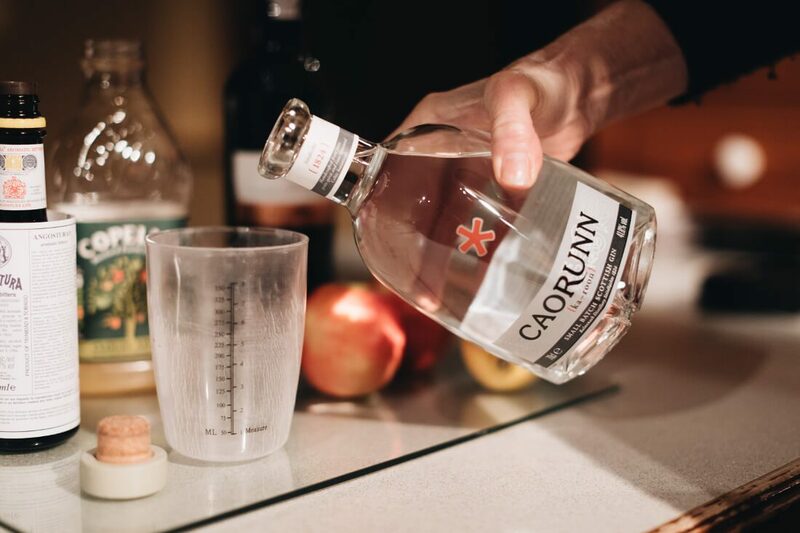 Beginning as grain spirit combined with botanicals foraged in the local area, the mixture is then vaporised in 1,000 litre batches through the world’s only working Copper Berry Chamber. 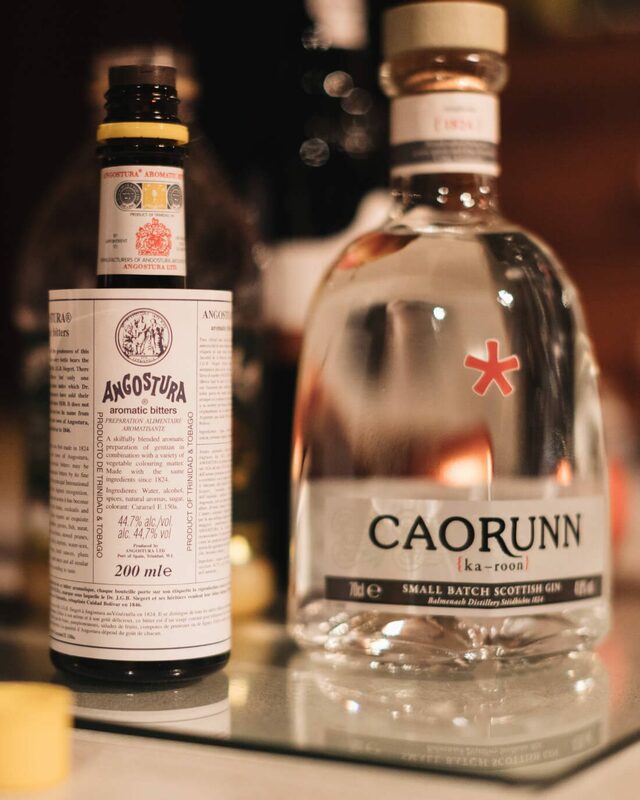 Using the chamber is part of an effort by Caorunn to return to an era when producing gin was a much slower, more careful process. Built in the 1920s, the chamber spreads five hand-foraged wild botanicals and six traditional gin botanicals across four perforated trays, allowing the spirit to soak up the flavours as the vapour slowly rises up through the chamber. 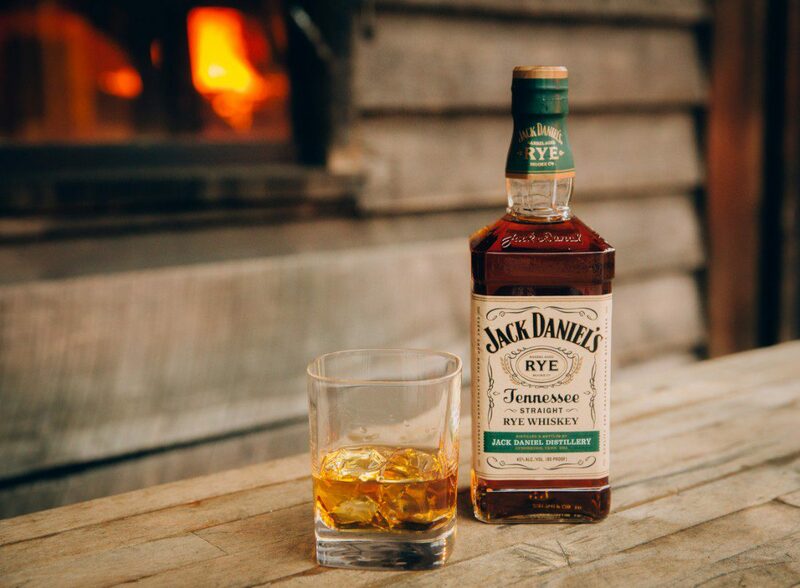 This long process eventually culminates in an aromatic, versatile spirit with a long, dry finish. 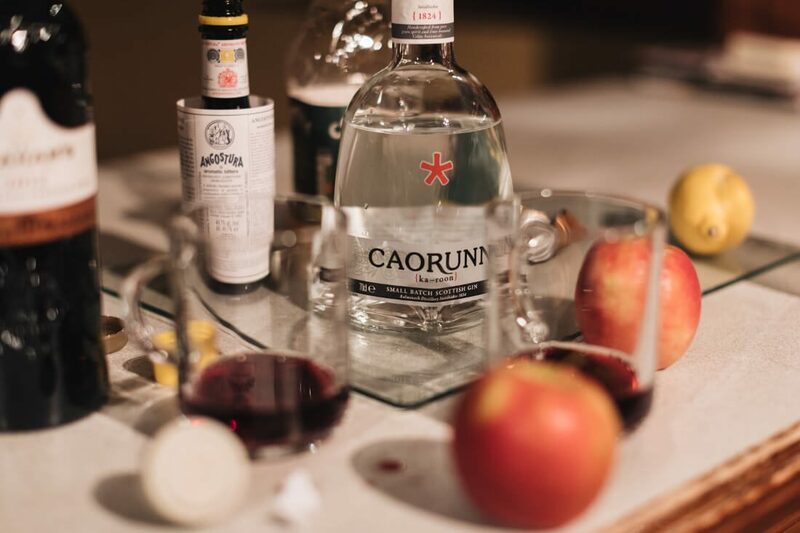 A modern “London Dry” gin, the traditional dry and crisp taste you would expect is also accompanied by a floral, slightly spicy aroma and flavour added by the infusion of local botanicals. 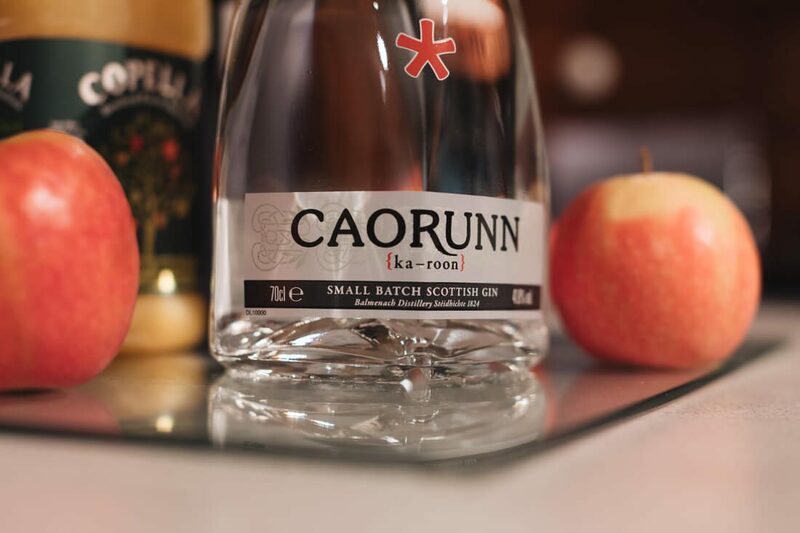 Even the name, Caorunn (pronounced ‘ka-roon’) comes from the Gaelic word for Rowan Berry, one of the Celtic botanicals that can be found within the gin. Other local infusions include Heather, Bog Myrtle, Dandelion Leaf and Coul Blush Apple. 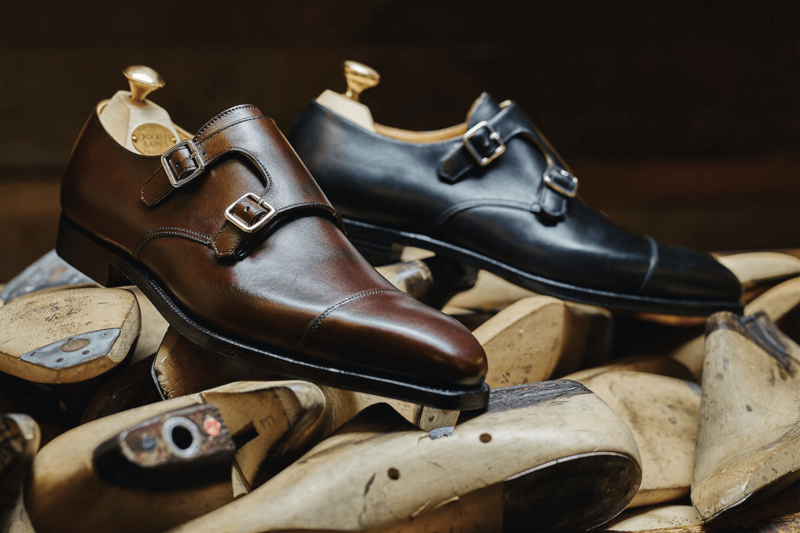 With the help of some inspiration from their Highland home, Caorunn is a brand taking tradition and making it stylish. Foraging is one of the biggest trends in bars and restaurants around the world right now, and the company’s extensive use of this technique combines both local heritage and modern sophistication. 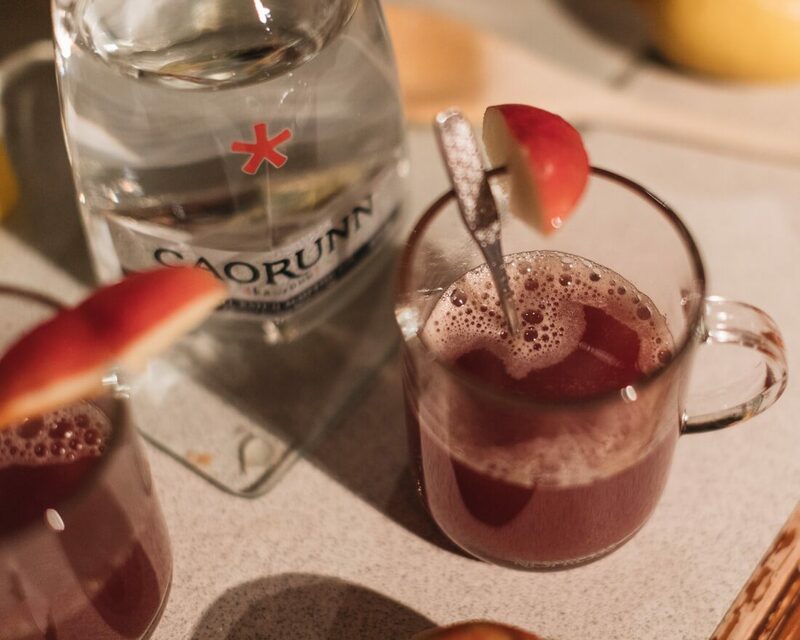 Just like the Apple Winter Toddy above, it’s an impressive cocktail.